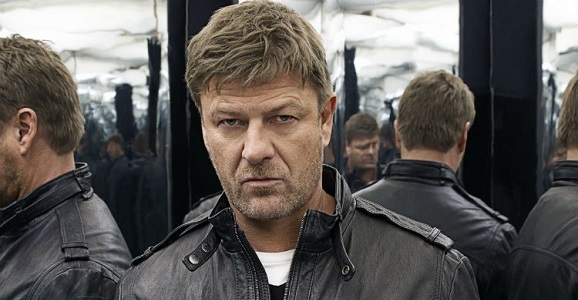 British actor Sean Bean just joined Ridley Scott‘s The Martian, a thriller about a man who is trapped on Mars. It’s a good thing that Matt Damon is already playing the solitude-heavy lead character here, because we all know what would happen if Bean had taken the main part. It would have been a short film called Man Dies on Mars Before Being Saved. And that kind of a title doesn’t scream “box office success” at all, does it? Bean is the latest in a relatively long line of actors to join the flick, making it even more of a must-see adventure when it comes out. There isn’t much to his character description though, as he’s only described as a NASA flight director. This doesn’t sound like he’ll be in the line of fire at any point, and I can vouch that Andy Weir’s spectacular novel doesn’t involve any NASA-set sword fights or anything, so maybe he’ll make it through this one alive. In The Martian, Damon plays Mark Watney, an astronaut left behind on the Red Planet after a massive dust storm forces his fellow crew members to shorten their mission. (He’s thought to be dead, so they weren’t just being dicks.) His star-studded team includes Jessica Chastain, Kate Mara, Michael Peña, and Aksel Hennie. Luckily, Mark’s education and skills keep him alive in a plethora of ways. There are people back on Earth trying to make his survival a continuous thing as well, and that’s where Bean’s character will presumably come in. Jeff Daniels plays the director of NASA, while Mackenzie Davis and Donald Glover will appear as young NASA employees. The Martian was supposed to be director Drew Goddard’s follow-up to Cabin in the Woods, but he hopped onto the Marvel train with the upcoming Netflix Daredevil series, which he then abandoned for the Sinister Six movie. Scott will still use Goddard’s screenplay, however, so here’s hoping it’s as smart as its source material, which reads like “MacGyver in space, with better hair.” It should be one of 2015’s best sci-fi efforts, assuming Scott doesn’t overload everything. Bean has been joining everything in recent months to complement his strong TV presence on the hit TNT drama Legends. GFR readers know that he’s in both the Wachowski’s upcoming space odd-pera Jupiter Ascending (opposite Channing Tatum) and the high concept comedy Pixels, in which aliens destroy the world posing as video game characters. He’s also set to play the title role in Tiago Mesquita’s adaptation Caesar, based on William Shakespeare’s play. The Martian is set to abandon viewers in theaters on November 25, 2015. Unless Scott decides to throw caution to the wind and film both Blade Runner 2 and Prometheus 2 before then.